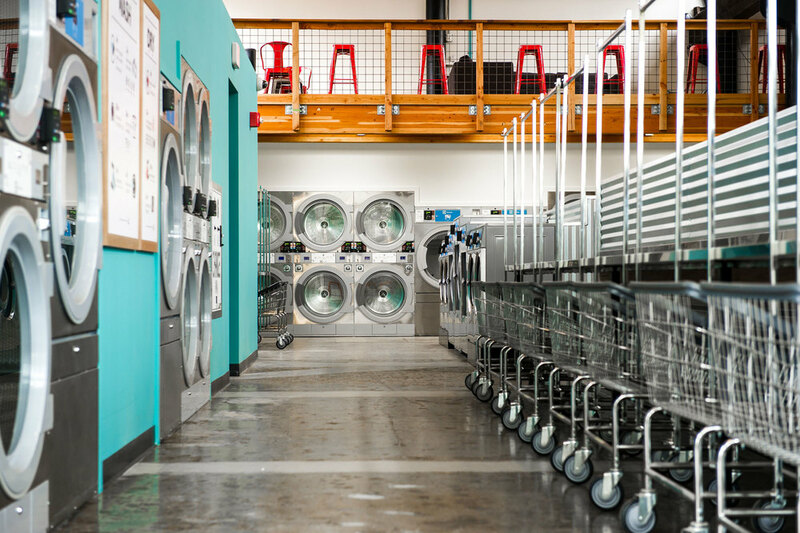 Spin is an eco-friendly laundromat, bar and cafe in Portland’s active and diverse Mississippi Street neighborhood. 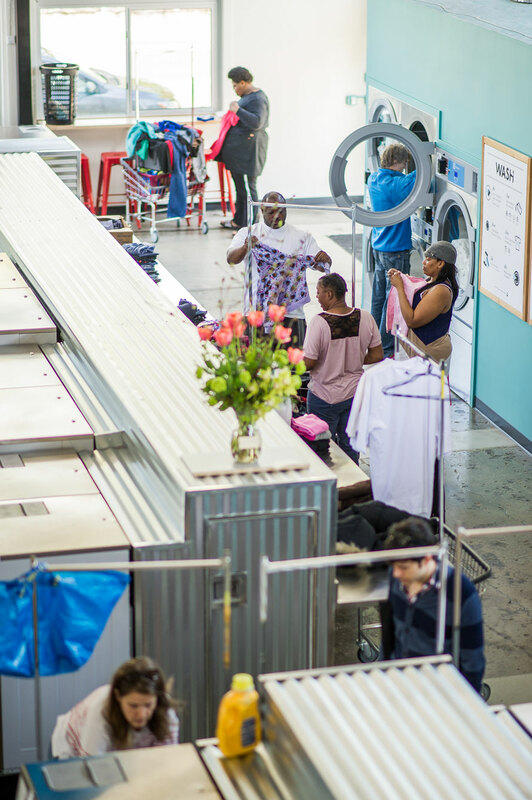 Environmental friendliness was paramount for this project; the washers and dryers are the most energy-efficient machines available, and the soaps and other laundry products are natural. The original building was constructed in the early fifties, with the structural system made out of recycled water heaters welded together. It was originally used as a metal fabrication shop. It later became a metal recycling center, and after that a restaurant named after the very original structural system, called “The Water Heater”. The existing building had a funky, industrial feeling that our client wanted to maintain while also creating a bright, inviting, happy interior. To achieve this we balanced the existing concrete floors and exposed steel with fresh white walls and a decorative palette of bright red and turquoise. We worked closely with the owner and her graphic-designer fiancee to create a space that integrated happily with their playful and modern branding. The senior designer for the Spin Laundry Lounge project was Em Shephard.